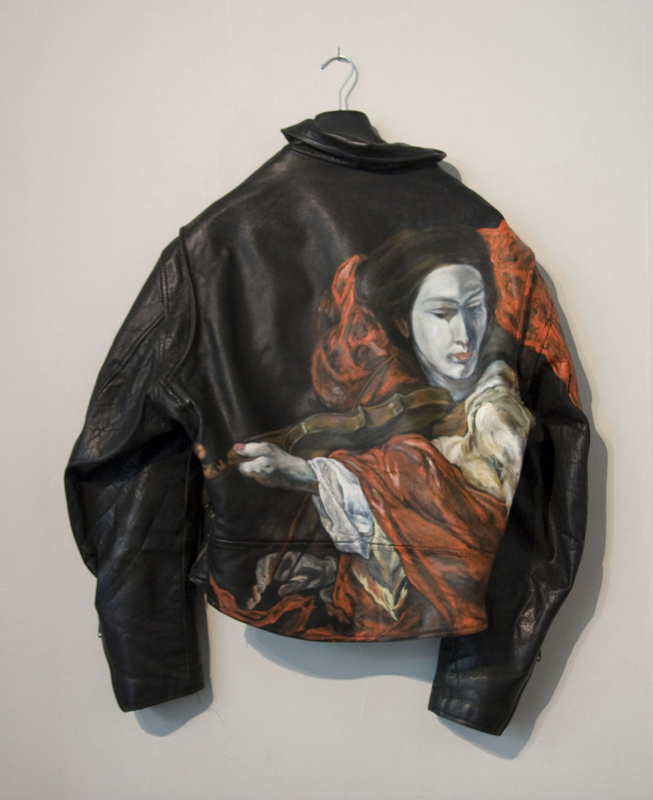 Motorcycle Jacket # 1, oil on black leather. 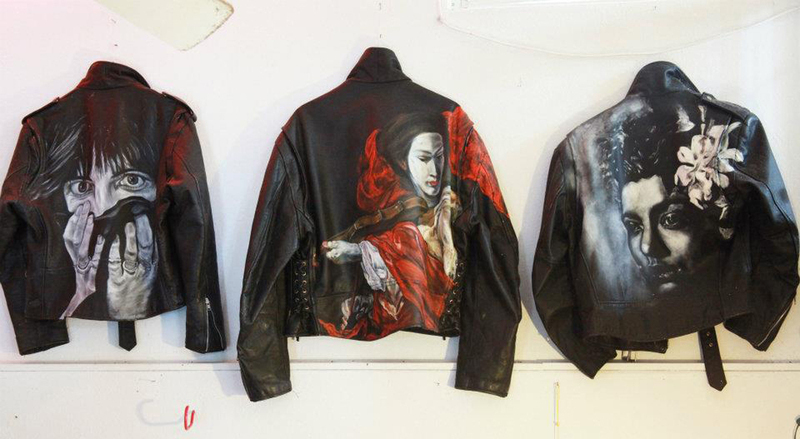 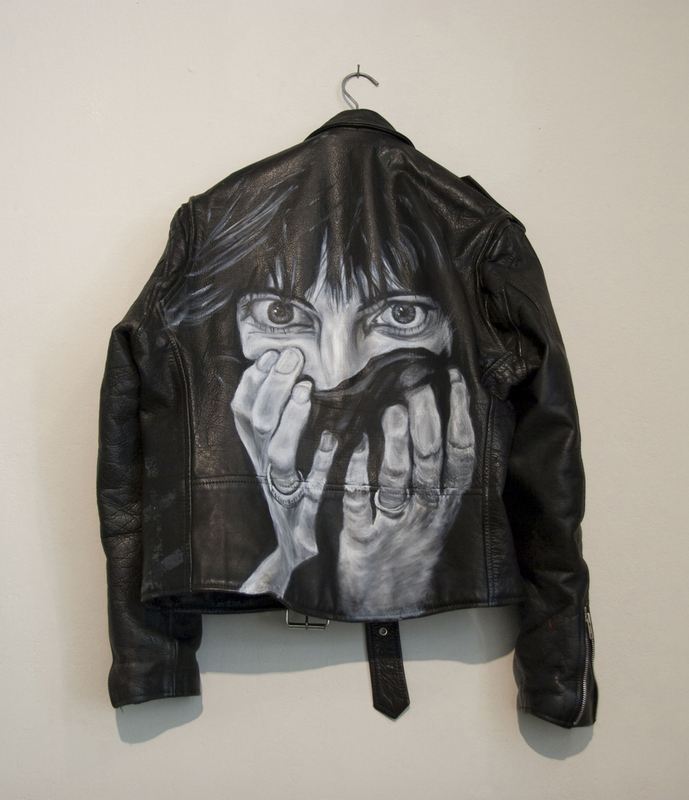 Motorcycle Jacket # 2 (Patti), oil on black leather. 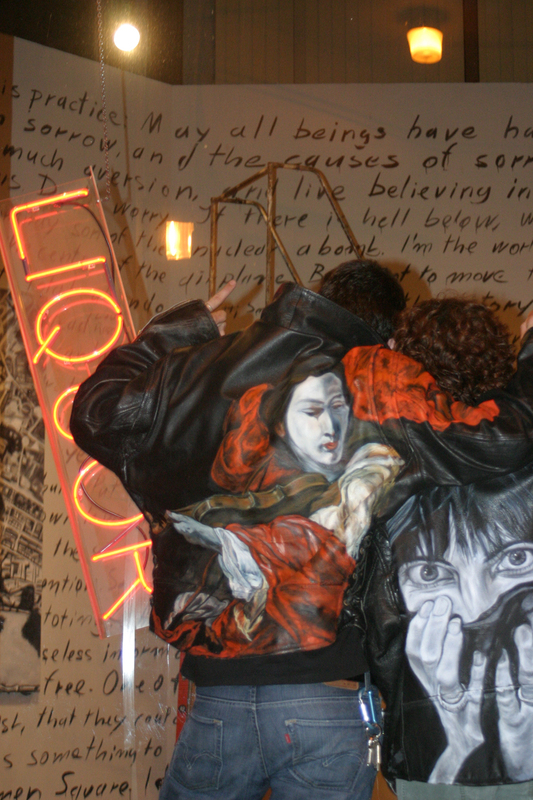 2 Motorcycle Jackets with Jeff Nisbet and Jaimey Hamilton at dieter runge, “festival of patience”, MFA Thesis Exhibition, 2008. 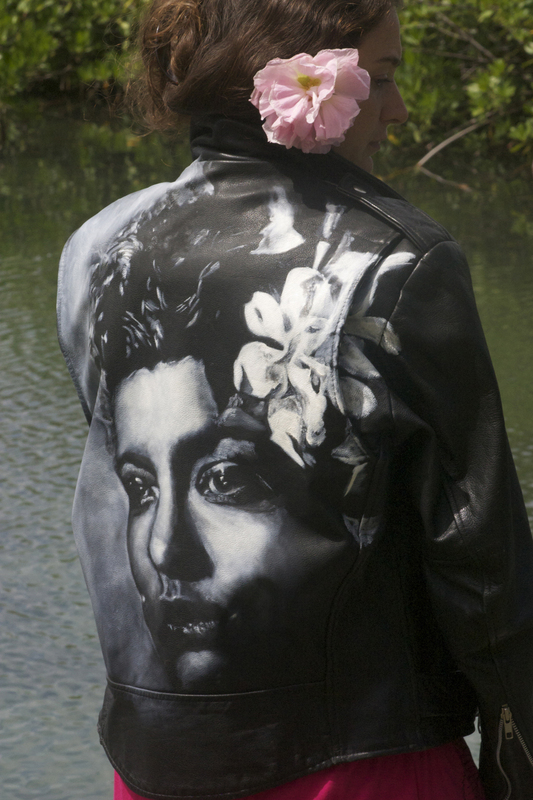 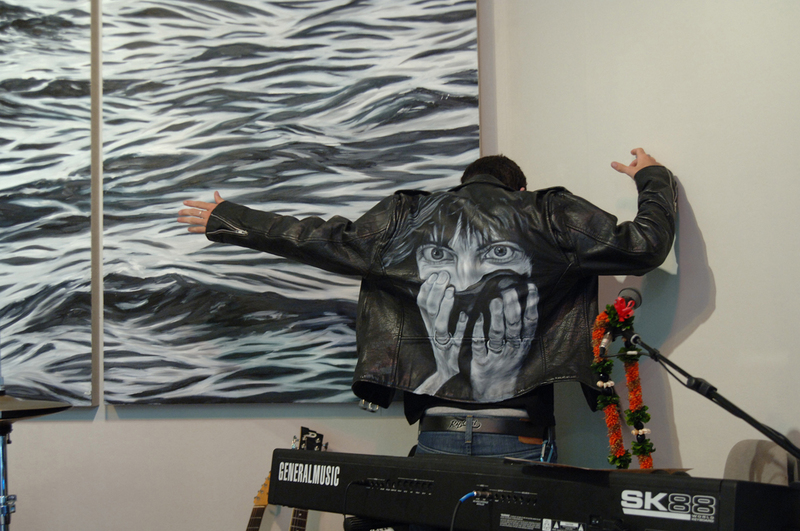 Motorcycle Jacket, with Jeff Nisbet and “Water”, oil on linen, 8′ x 20′, dieter runge, “festival of patience,” MFA thesis exhibition, University of Hawaii, 2008. 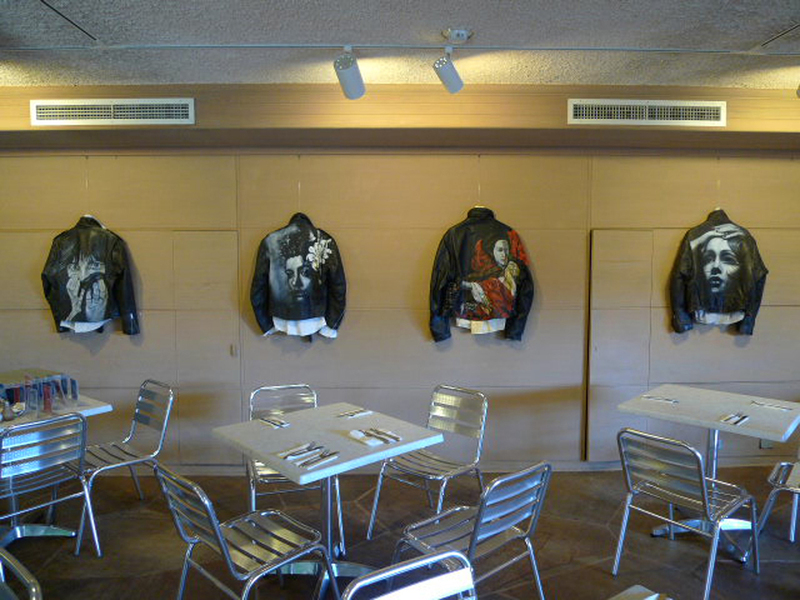 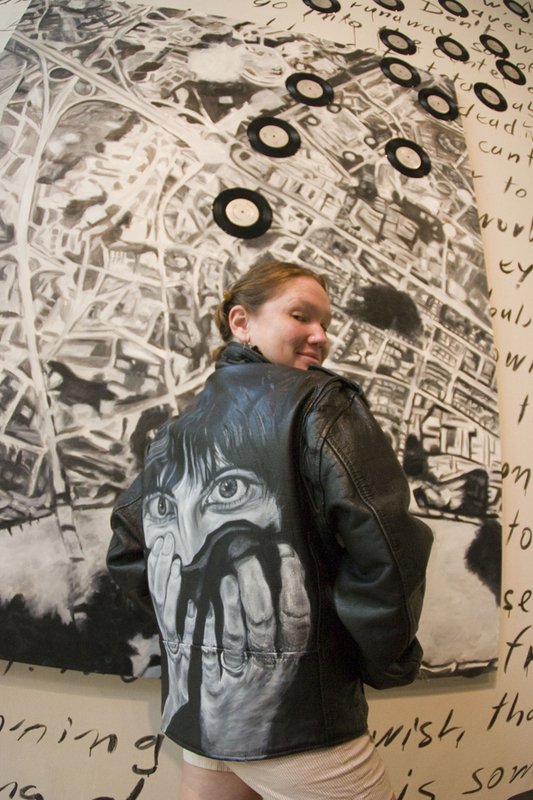 Motorcycle Jacket with “unidentified”, in front of “Aerial View of the Bombing of Dresden”, oil on linen with 7″ vinyl records (re-issue of NYN – Just like Dresden 45, rock’n roll calligraphy, dieter runge, “festival of patience”, MFA Thesis exhibition, University of Hawaii, 2008.